Go Hydrology! : Chunk of limestone from Santa? Chunk of limestone from Santa? Only to wake up on the big day to find nothing but a chunk of rock under the tree? 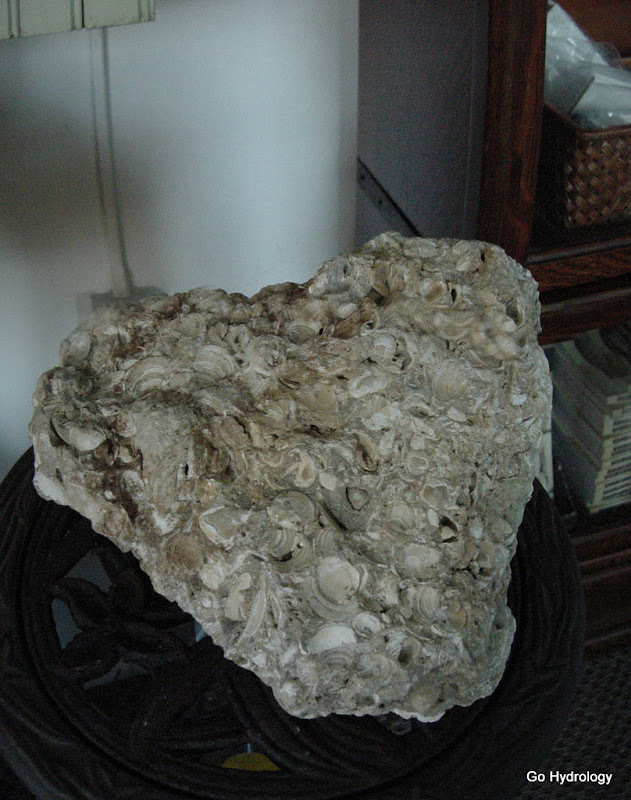 The chuck of limestone shown above is called Tamiami Tabby. The original settlers of Naples didn’t have any cement mills, but with plenty of sand and water and shells they were pretty well set. Mix them together in a broth over the high heat of a buttonwood fire, and then let it dry, and tabby is what you got. 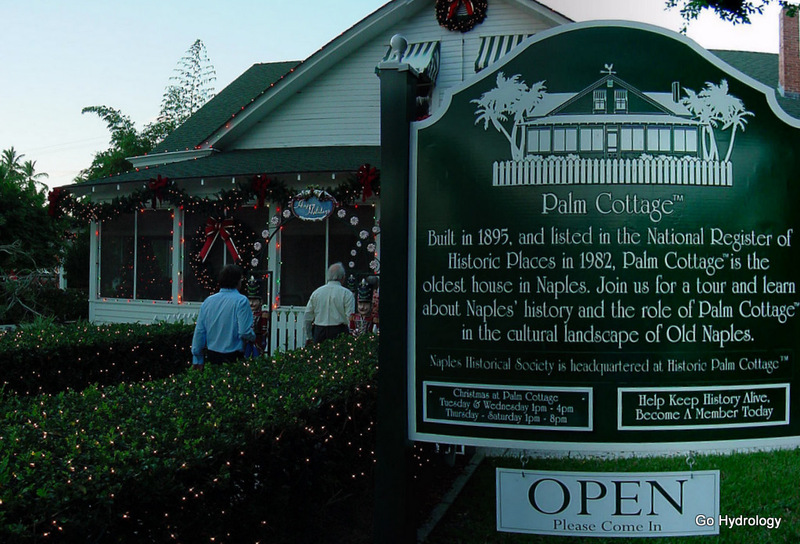 They used it to build the Palm Cottage – Naples oldest house – which, just a few blocks from Naples Pier, is still standing. At least, that's what I read on the sheet of paper above the rock. There's a side of me still thinking that somebody was a really bad boy. Hang in there! Stalagmites grow over long periods of time. They (we) are best appreciated when viewed from above. Since I am from Colorado, I can't help but notice the dearth of good rocks around here. But the Tabby is pretty cool, even if she ain't natural. Florida has a lot more geology than it get's credit for. As a geologist, SAM knows all about that.